Blumil city – BLUMIL - Experience Freedom! 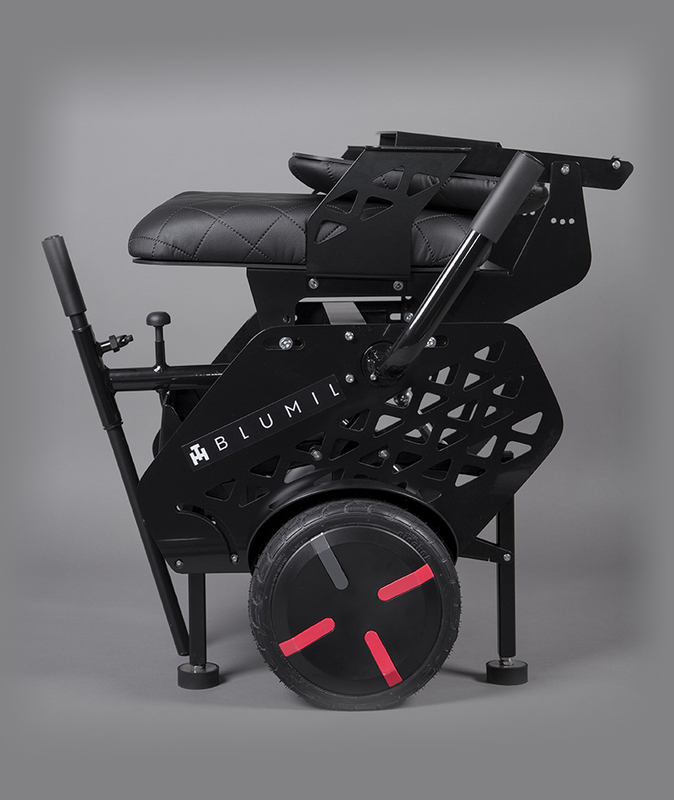 Blumil City is the lightest and fastest electric wheelchair for urban use. Long range allows you to spend all days outside! Spending time in the city has never been so comfortable thanks to an adjustable seat and a comfortable, built-in cushion. 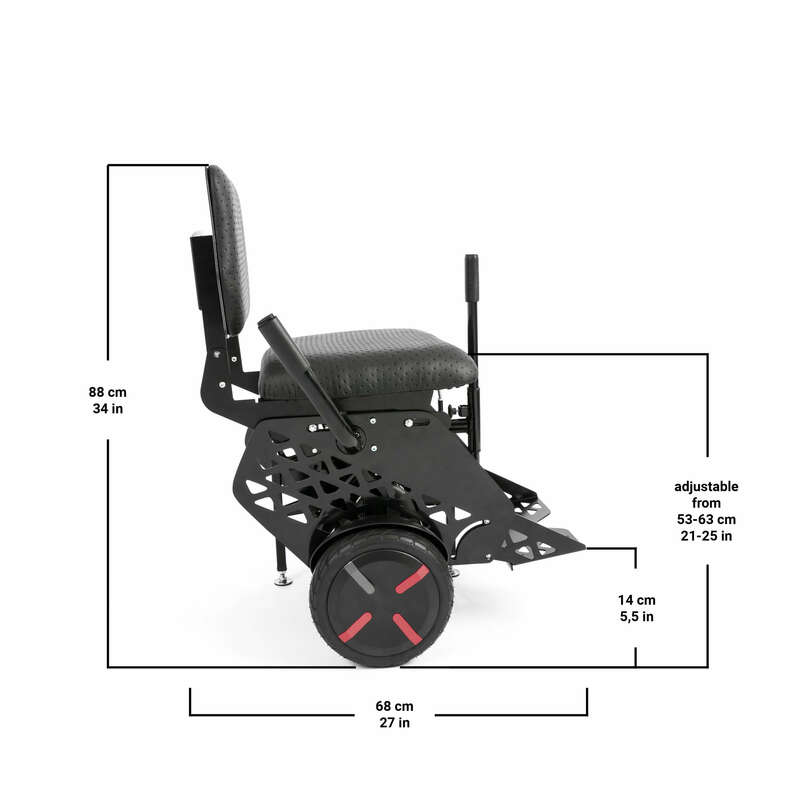 Its compact size - the same as a manual wheelchair, allows it to move easily even in tight spaces, such as elevators and toilets. 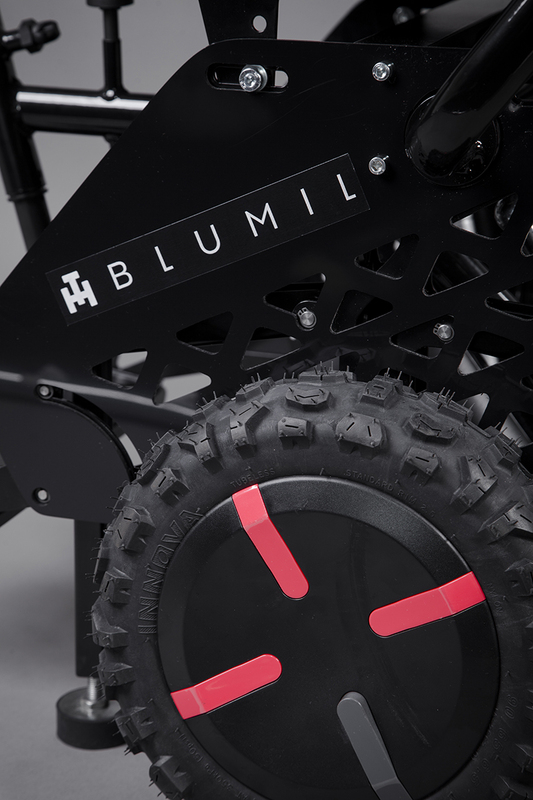 This makes Blumil a perfect wheelchair not only for outdoor use, but also indoors. The possibility of easy transport is a key feature for Blumil users. For this reason, we made sure that Blumil would have a really compact size. 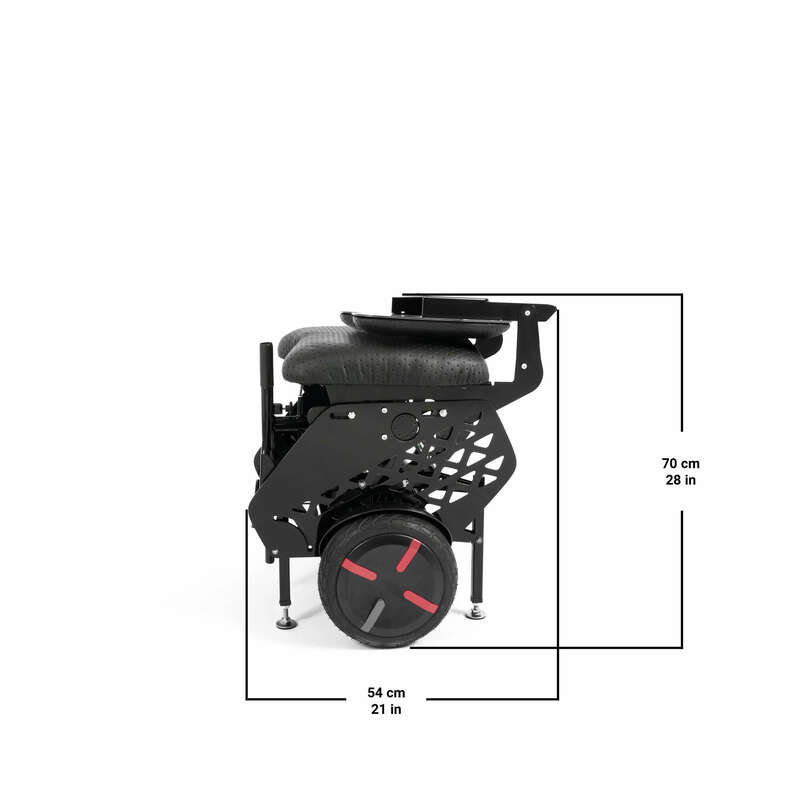 When folded, it is smaller than a manual wheelchair. That is why it is very easy to transport it in a medium-sized car, even in the back seat. 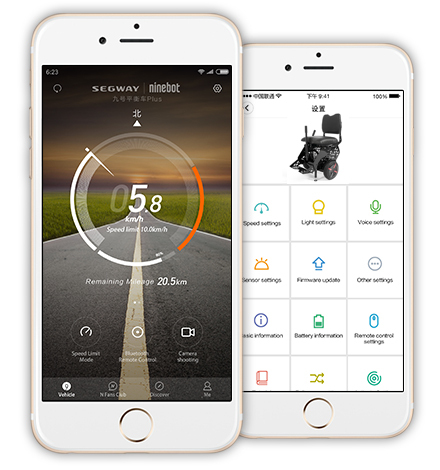 Traveling with a wheelchair has never been so easy! The height of the seat can be gradually adjusted, which makes Blumil ideally suited to any body shape and height. The range is at least 25 km. This allows for long trips. If necessary, you can recharge the wheelchair almost anywhere you have a brake. A full charge takes only 3 hours. 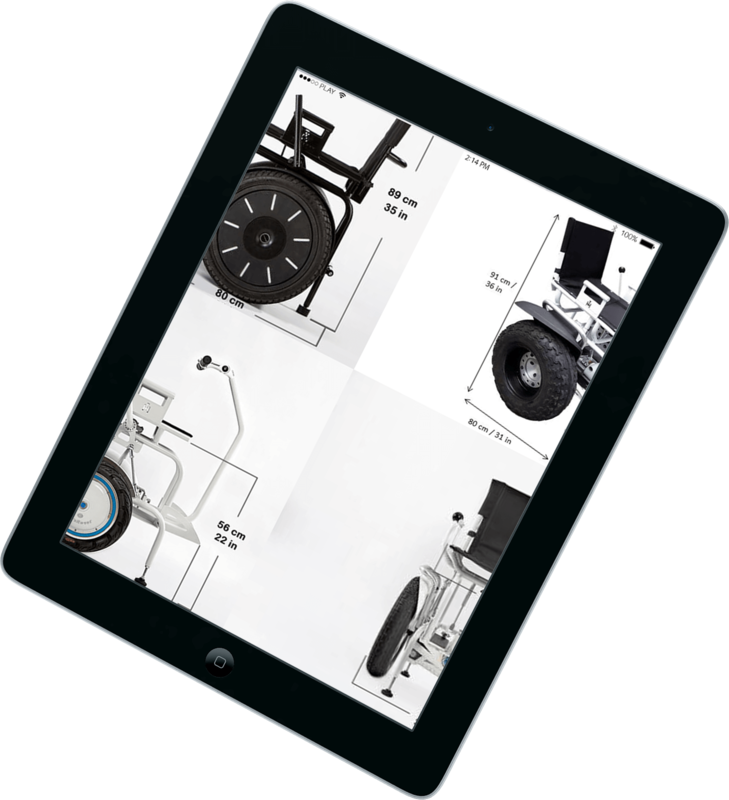 The steering column easily folds, so getting in and out of this electric wheelchair has never been easier. The position of the column is also adjustable to match the height and length of the arm. 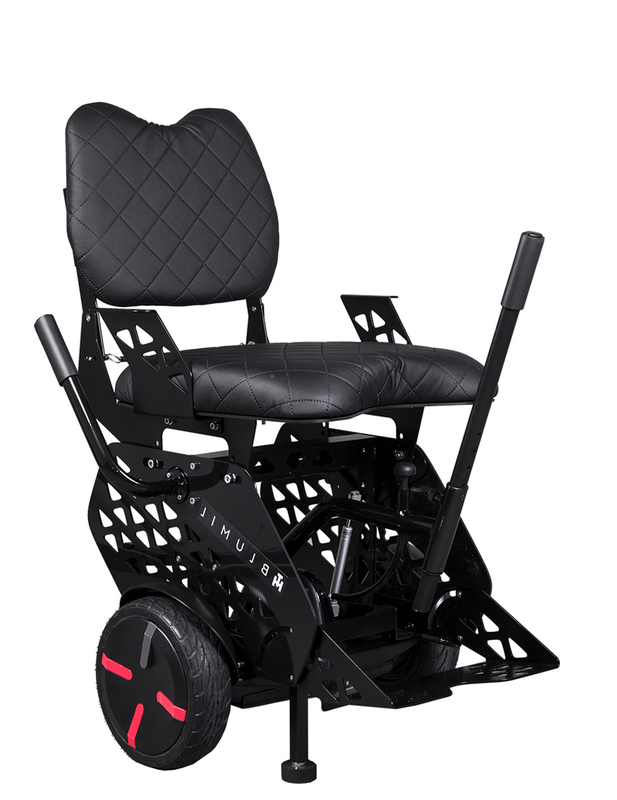 The backrest is not only foldable in an easy way, but it is also possible to set in one of three positions, to be most convenient for your ride. You can also have a more upright driving position, and when you stop, lean back for more comfort. 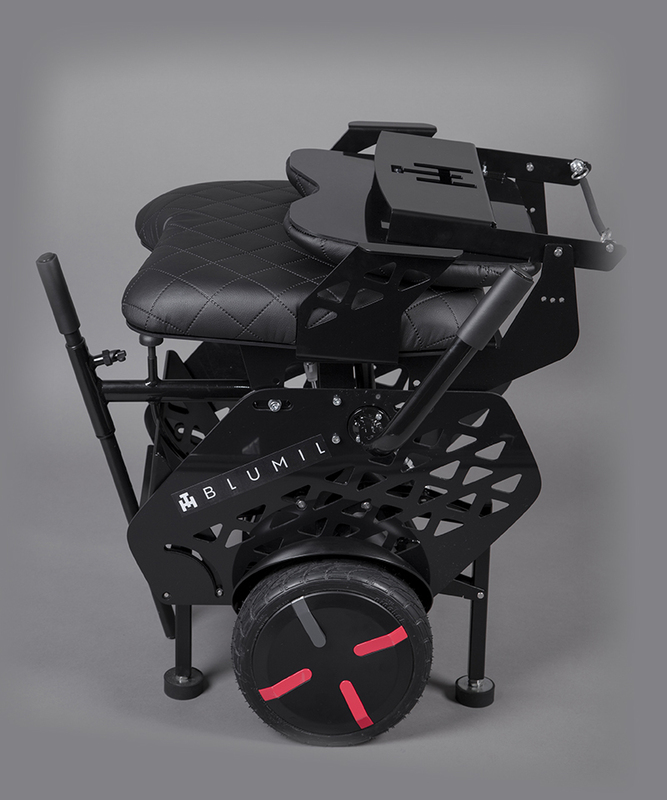 Blumil - an active electric wheelchair that stimulates your body. During the ride, you engage your muscles to work - By riding you exercise! The maximum speed can be adjusted. The maximum can be set to 18 km / h. This allows you to move quickly from place to place, avoiding traffic jams and accompanying friends on bicycle trips. Connect your Blumil with your phone and have access to detailed driving data. Speed, remaining range, control of settings, lights. Everything in your hand. The Blumil City is also equipped with strong front automatic lights, and indicators to make night activities safe and fun! There also even a brake light. See the movie how it works! Design is important to us! Wanting to spice up the latest model, we have entered into cooperation with Pavlo Burkatskyy, designer of the Arrinera super sportscar. You can order special off-road tires. You will get significantly better vibration dampening on uneven surfaces and get greater grip on forest trails, gravel and other loose surfaces. 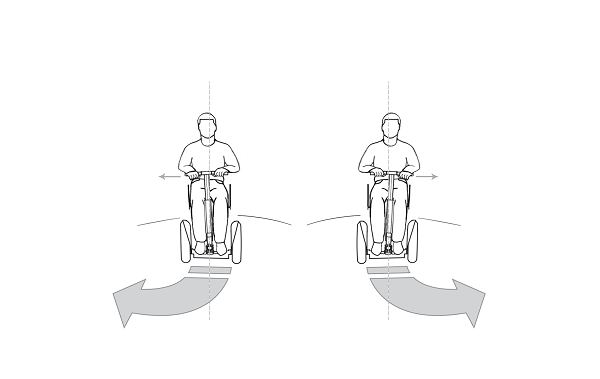 While riding over obstacles, try to go over them first with one wheel and then the other. Do not go fast. Be careful. 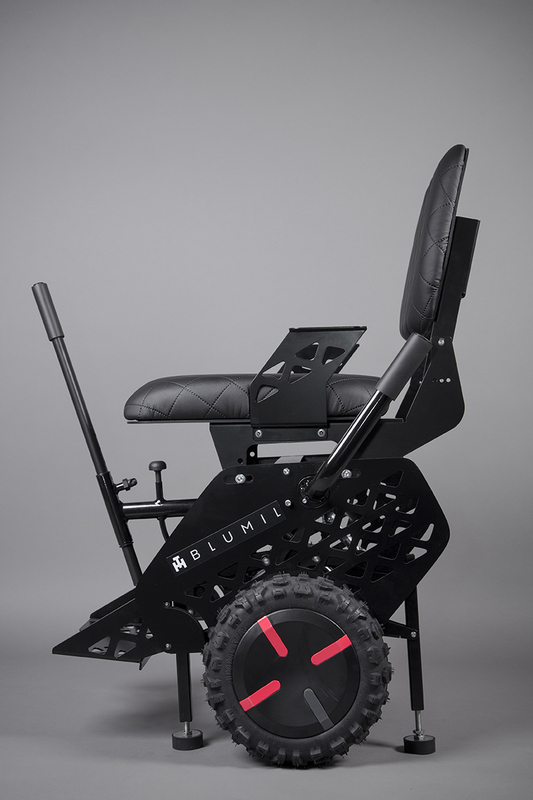 Whenever you feel like going out, just get on the Blumil electric wheelchair, slightly lean forward and steer the column to the required direction. Moving around the city has never been so easy and intuitive during day and night (automatic lights really do the job! ).Go and enjoy your city vibes! Blumil is a certified product. As a medical device it meets all the requirements, regulated under EU law. The CE mark itself is a determinant of certain safety and quality standards and provides information for all consumers and proof that we meet all strict requirements. * By clicking "Download" you agree to that Blumil Miłosz Krawczyk (ul. Giełdowa 4B/11, 01-211 Warszawa) may collect and use your email address, which you have provided in this form, for providing information and marketing material, in accordance with the Personal Data Protection Act 1997 (29th of August). 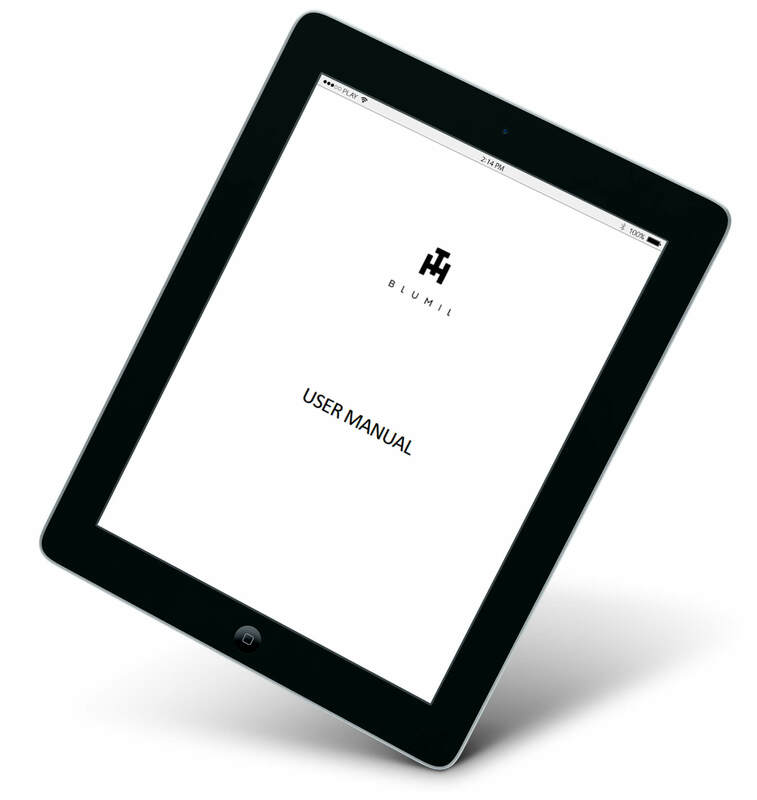 To download the technical data of our Blumil City, click download!